The most dangerous man in wireless? There are many things to love about the changes T-Mobile has made over the past year, but for frequent travelers, T-Mobile's free international roaming is the thing to love most. T-Mobile (TMUS) announced in 2013 that it would offer free international data roaming to subscribers of its Simple Choice plan. The move didn't capture significant attention, and it was quickly forgotten. 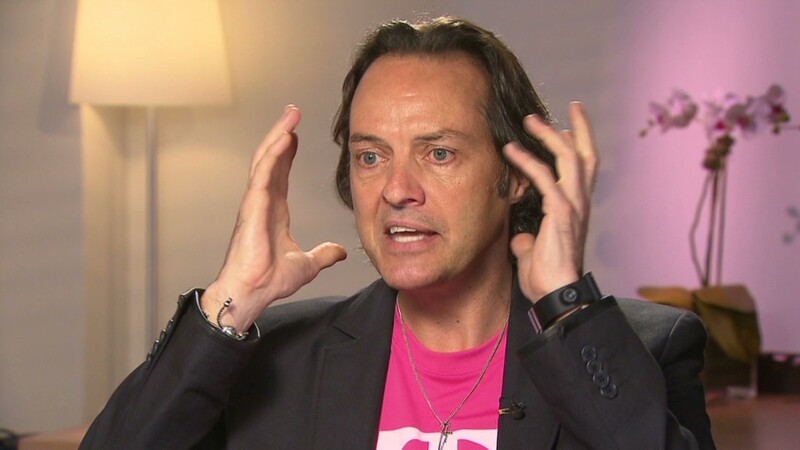 That was partly because T-Mobile is the smallest of the four major U.S. carriers. But the muted response is also due to the fact that T-Mobile's free international data comes with a caveat: It is of the slow, 2G variety -- significantly slower than 4G or even 3G data speeds. Being a T-Mobile subscriber, I finally got the chance to use the international service for a couple of weeks last month. Yes it's noticeably slow. But the service was stress-free and incredibly useful. Setting up international roaming on my T-Mobile phone only required one step: Leaving the country. After powering up my phone in a new country, T-Mobile quickly sent a text message informing me that it knew what country I was in, and that data services (along with SMS texting) were free. That quickly set my mind at ease, knowing that I wasn't going to be greeted by a $3,000 phone bill when I got home. 3G and 4G are obviously preferable, but for someone who vacations internationally for a week or two a year, or for a business traveler who wants their personal device connected at all times, T-Mobile's service is great. This raises the question: Why isn't AT&T (T) also offering free international roaming? In February, AT&T announced that it would allow select users to send free international texts from inside the United States as a way to combat the growing popularity of WhatsApp and other services -- but that was it. So if you're out of the country on a regular basis, T-Mobile's free international roaming offer is a valid reason to consider switching to the scrappy carrier.